According to IMF Financial Access Survey, 20.6% Indians do not have access to formal banking. Until 2015, people largely depended on money lenders – most of whom are infamous for making the borrower agree to unreasonable terms and conditions of repaying the debt. But with 223.6 million RuPay debit cards issued and 289 million Jan Dhan accounts opened since 2015 for underserved communities in India, this exploitation is likely to get contained to some degree. Having said that, the need for financial literacy has become even more crucial as this group transitions from informal to formal banking in the days to come. The challenge to achieve India’s financial inclusion goal is complex, mainly because of its diverse demographics. 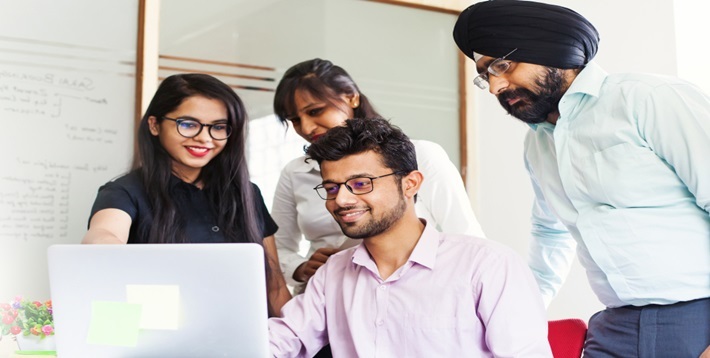 For India’s fast growing banking and financial services sector, transcending language, literacy, and connectivity barriers will be critical if they want to reach out to this high-potential group. 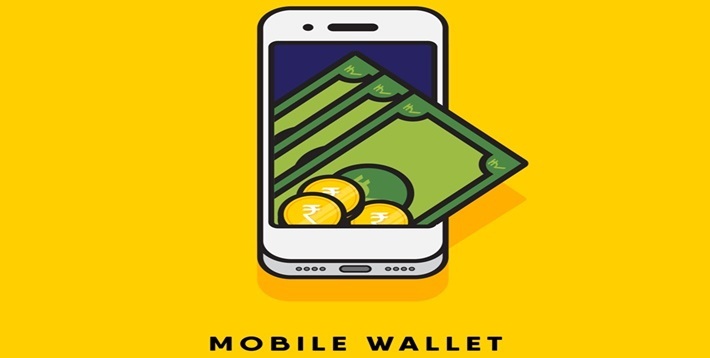 The improving mobile connectivity in India, and the rising number of mobile subscribers at the last mile, is giving rise to a perfect situation where no one is truly out of reach. Mobile Podcasts make for an engaging format to introduce financial literacy-related information to the last mile audience. It can be used to explain the importance of savings, recurring deposits, introducing new financial products like insurance, or to be used as a tool by banking and financial institutions to understand user perceptions about financial products or its adoption. At Awaaz.De, we recently completed a study supported by the Gates Foundation in partnership with Ahmedabad-based cooperative bank Saath Savings and Credit Cooperative Society’s. Through this study, we understood the financial behaviour of Saath’s customers and introduced them to new products. The survey revealed the behavioural traits, apprehensions and openness of customers in using different financial products and services. 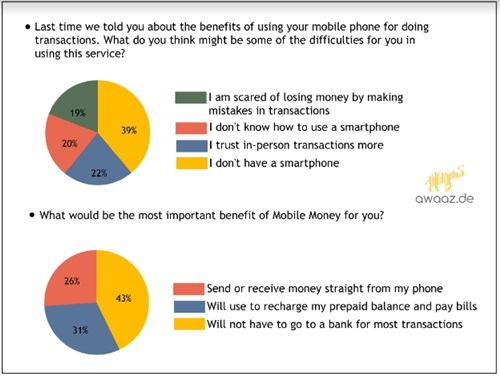 For instance, 19 percent of those surveyed revealed that they feared losing money in transactions, and 43 percent were more open to using mobile money for recharging services or paying bills. 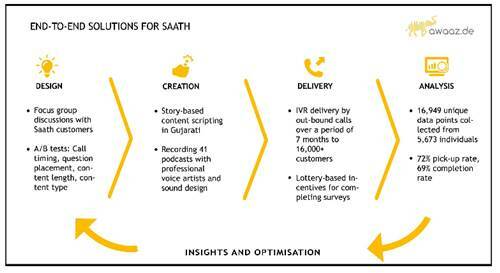 Overall, 41 podcasts were delivered to more than 19,000 Saath customers over a period of seven months in Ahmedabad. Using mobile podcasts, we were able to mitigate the language barrier by delivering content in local language, i.e. 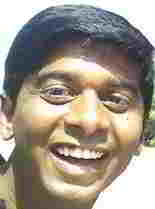 Gujarati. 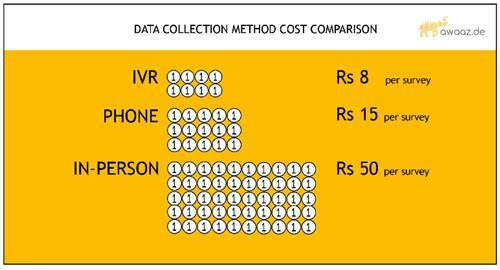 Banking and other financial institutions can benefit immensely from data collected through mobile podcast campaigns like these since the cost of delivery too is less than in-person or telephonic surveys. The insights can be used to optimise products, upsell new products, or develop new communication strategies that can engage customers. Download the Saath – Bill & Melinda Gates Foundation Financial Literacy Case Study here.